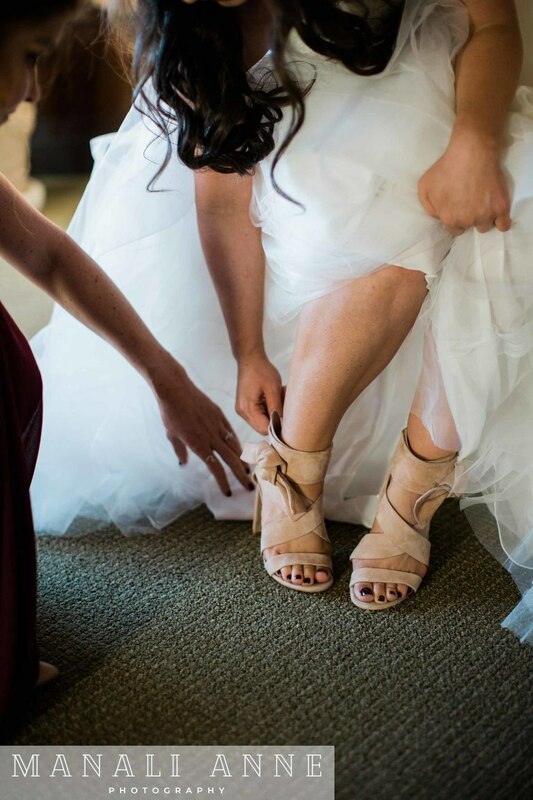 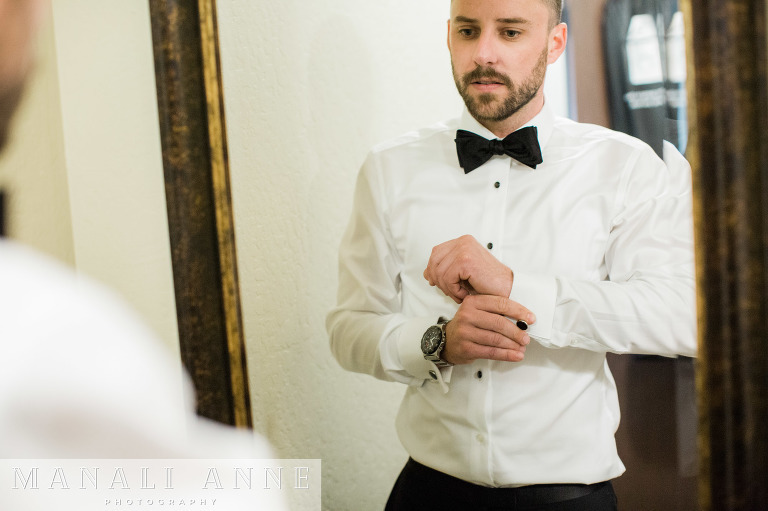 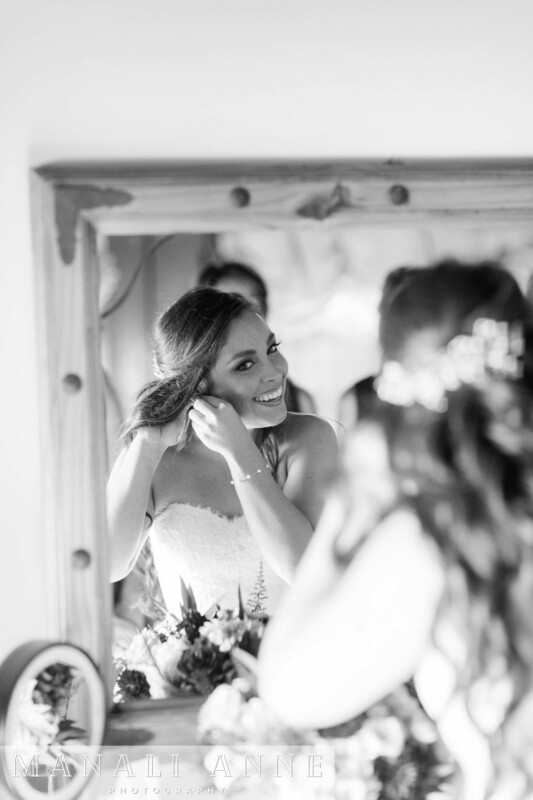 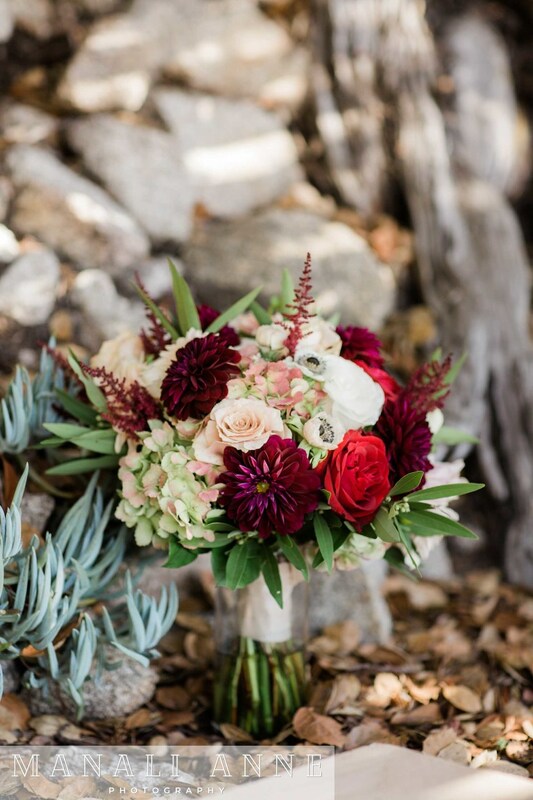 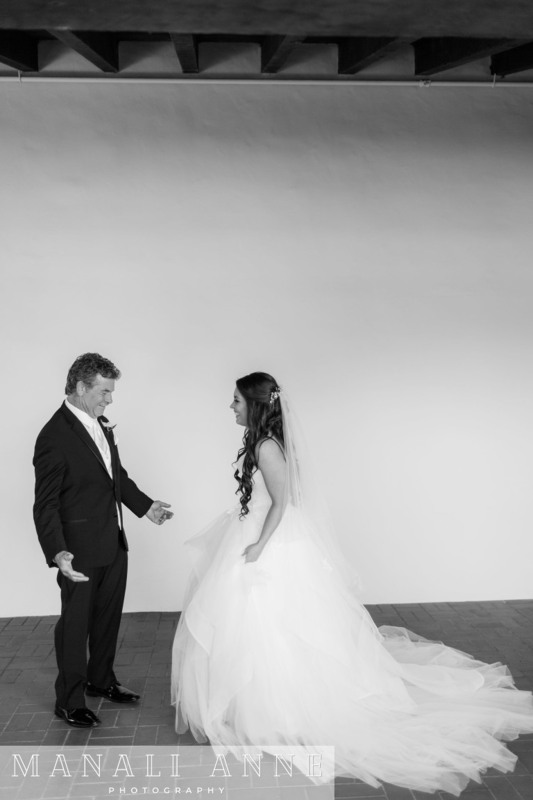 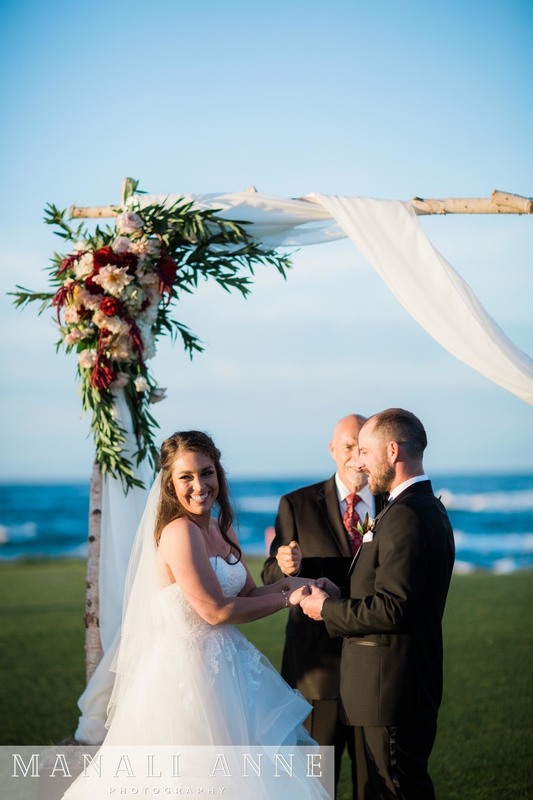 Get ready to be blown away by this romantic & dreamy beach wedding tying together Brittney & Casey. 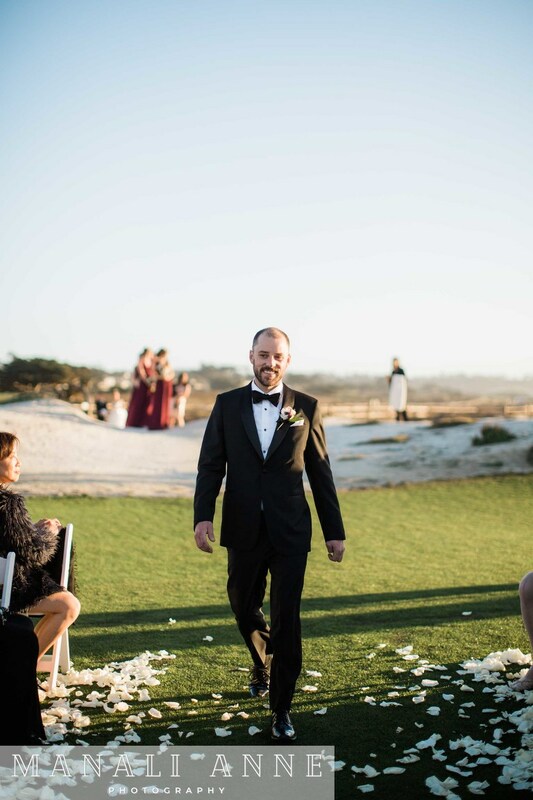 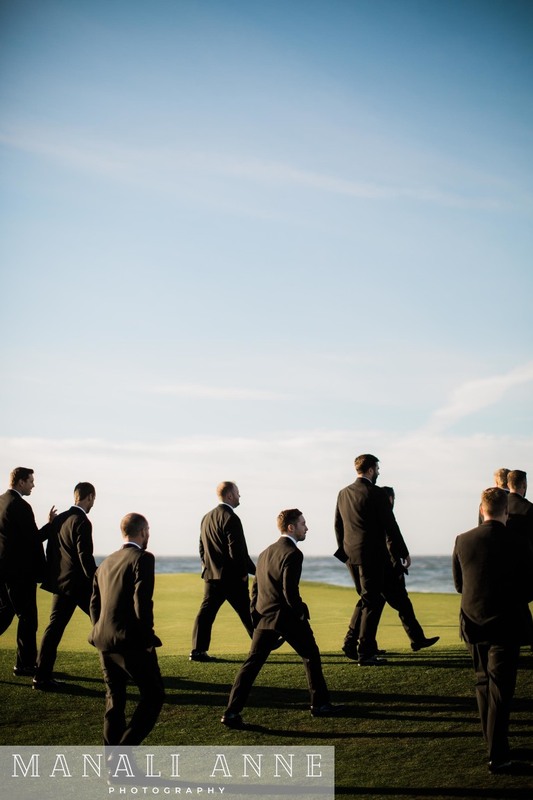 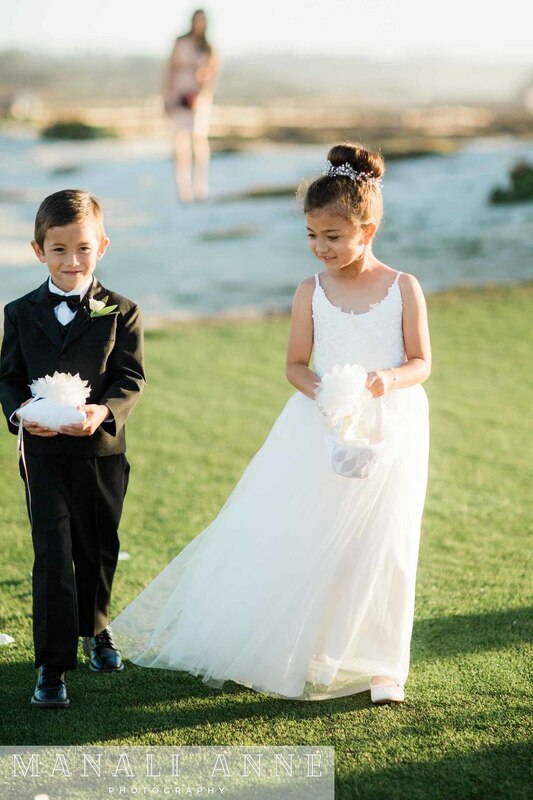 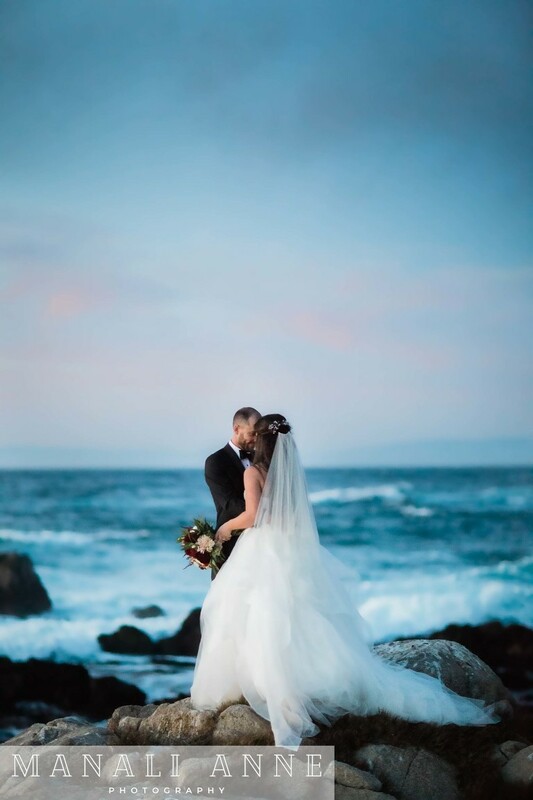 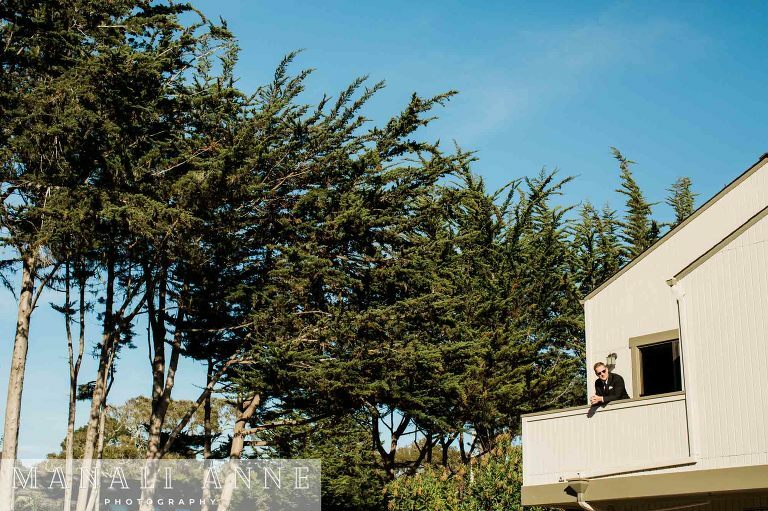 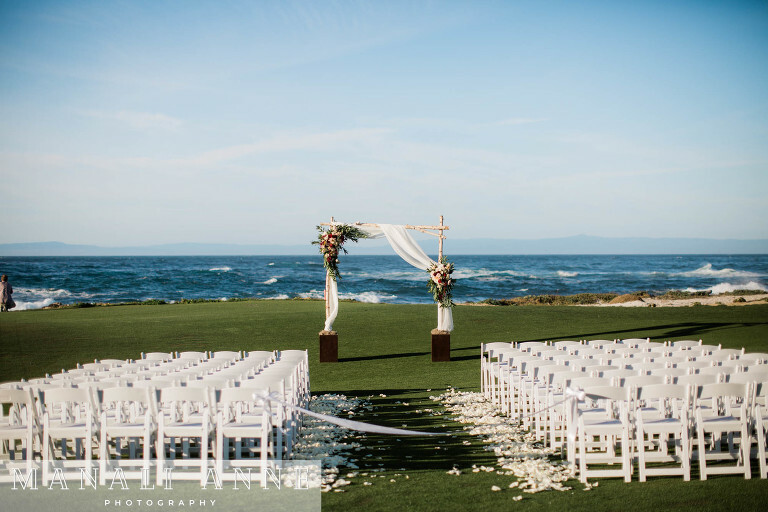 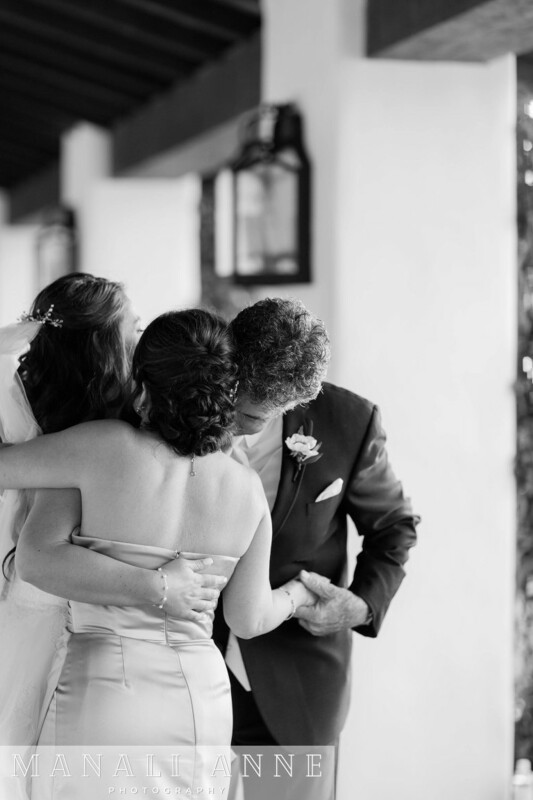 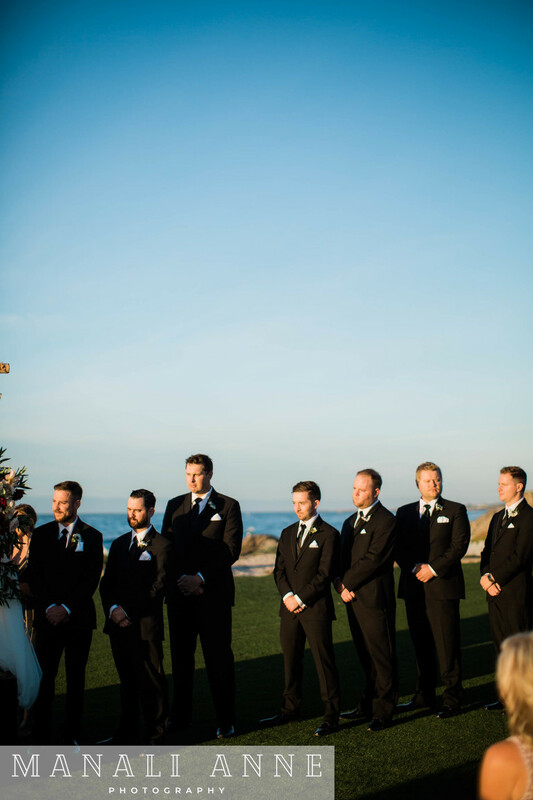 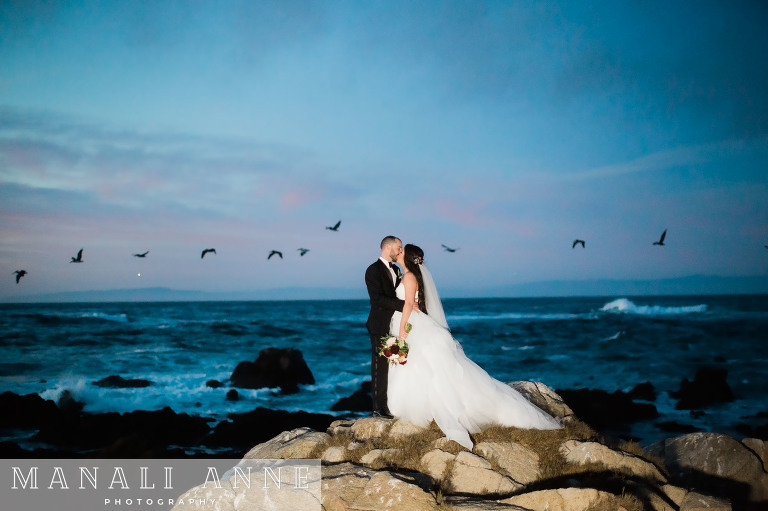 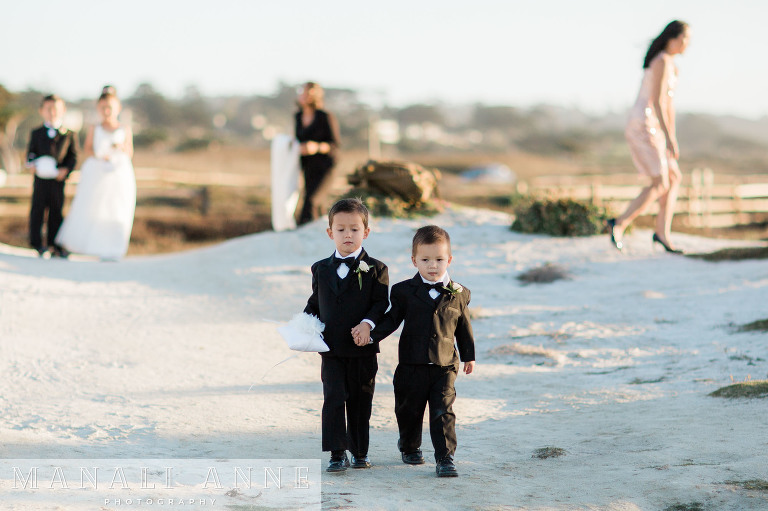 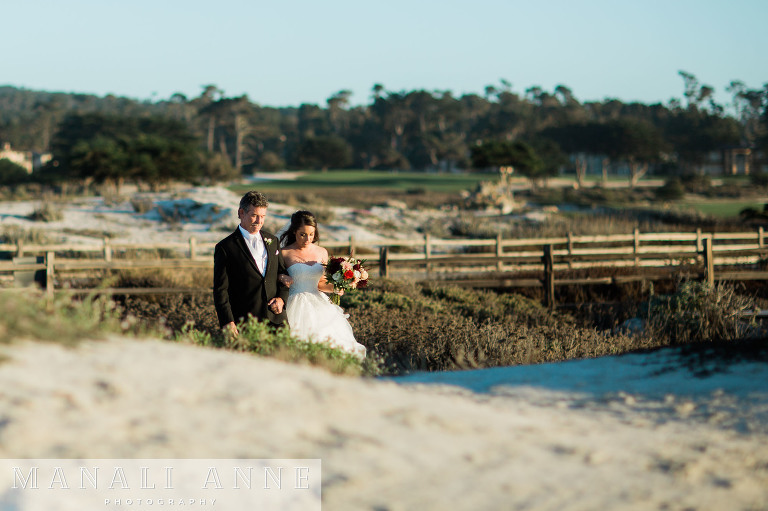 These kids were lucky enough to have their wedding on the infamous 17 Mile Drive in Monterey, California. 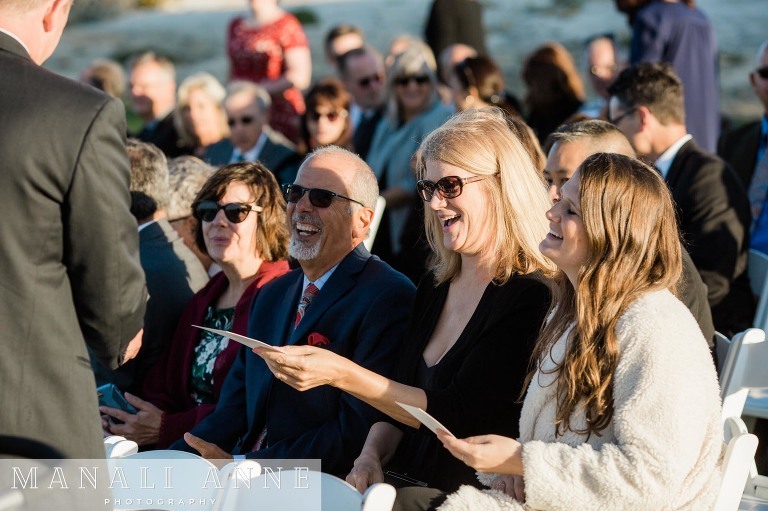 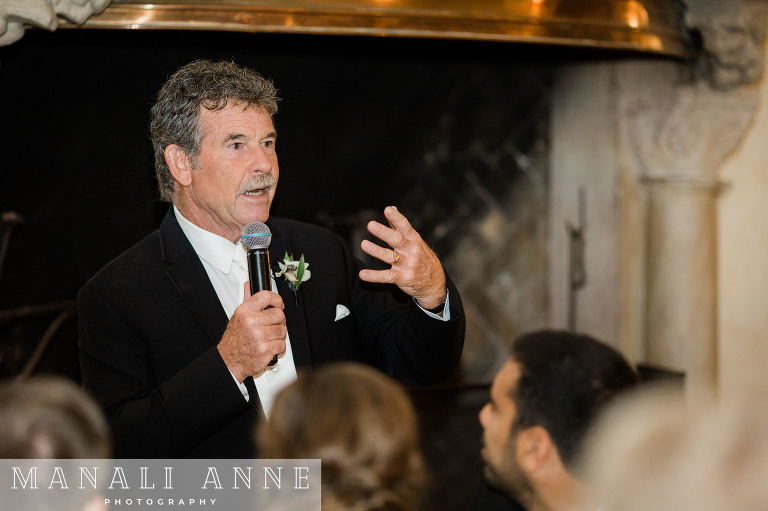 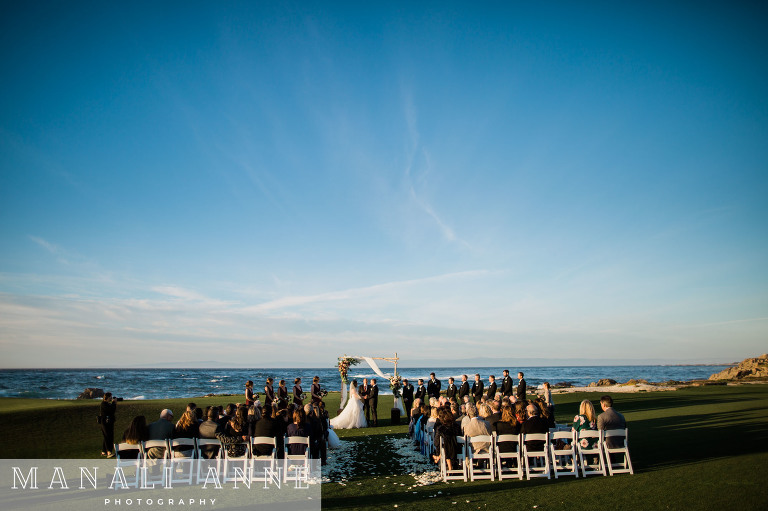 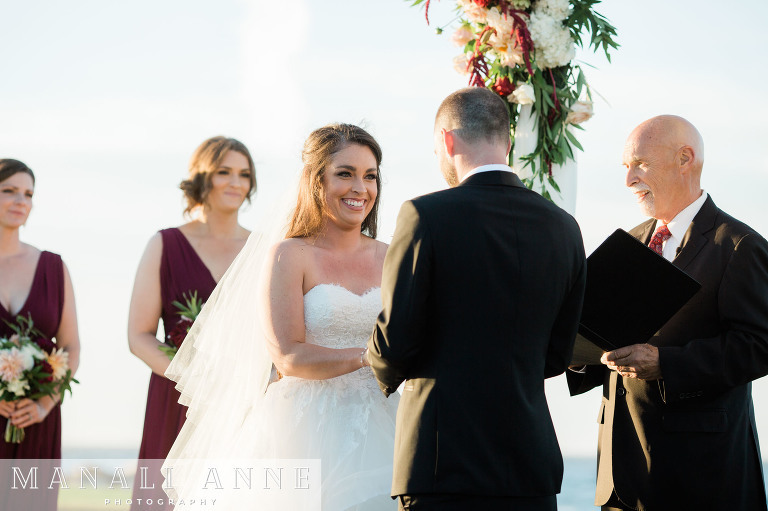 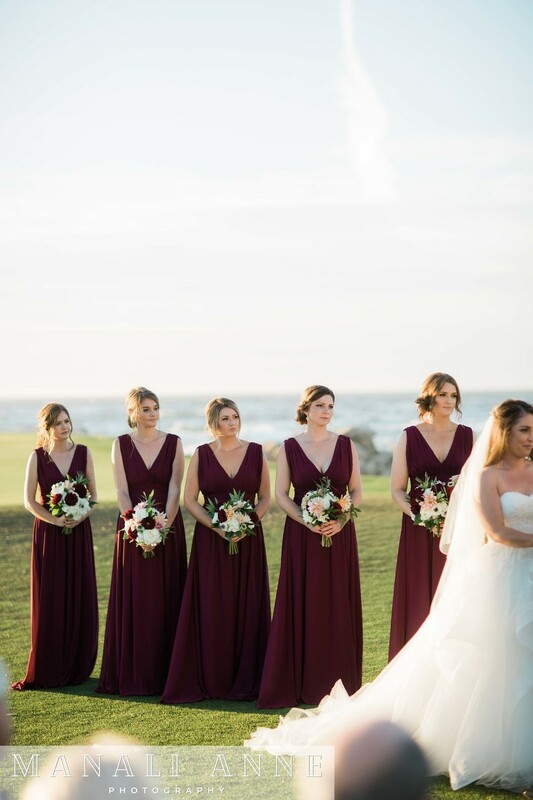 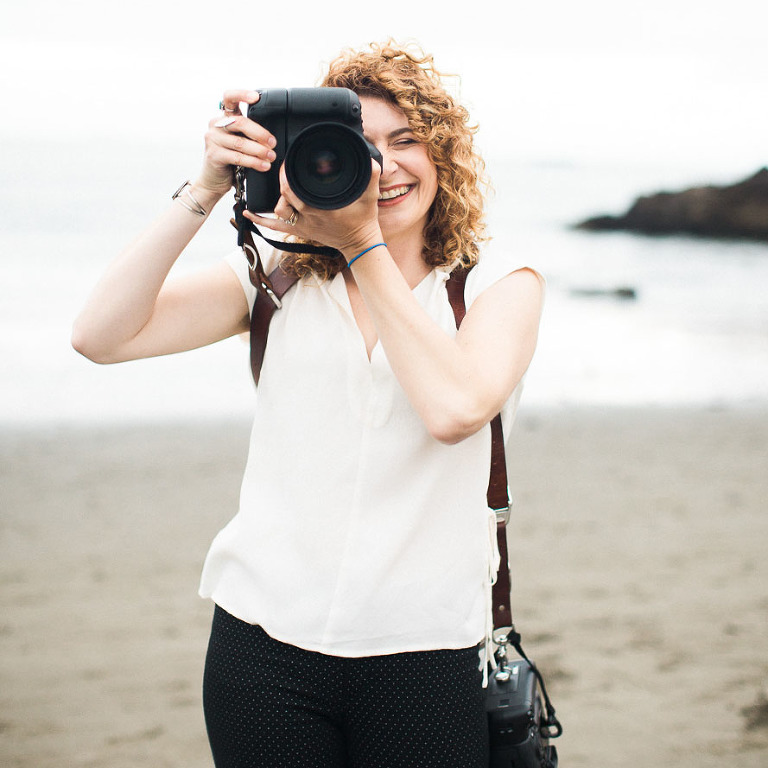 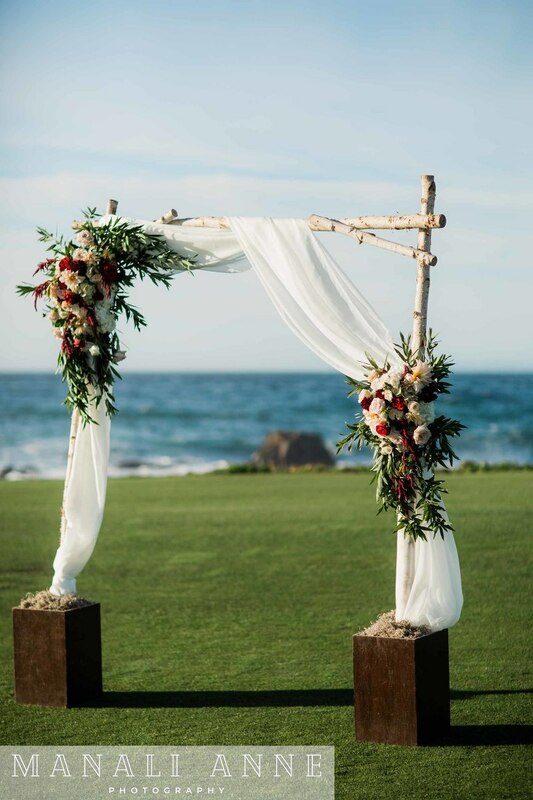 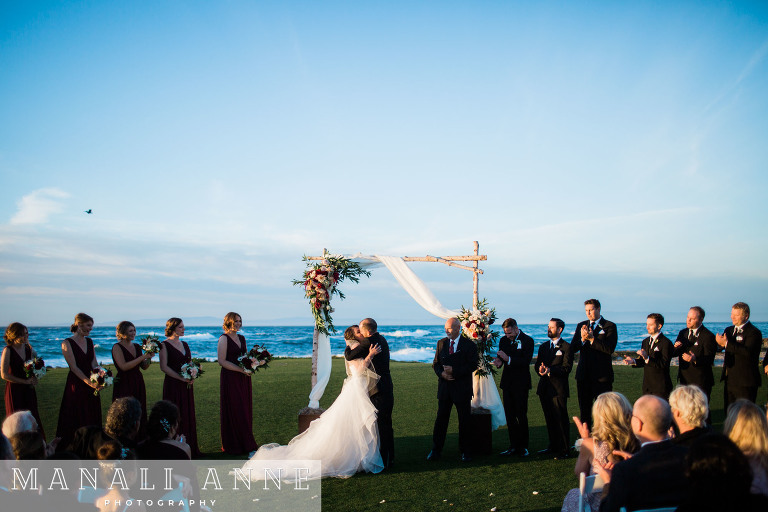 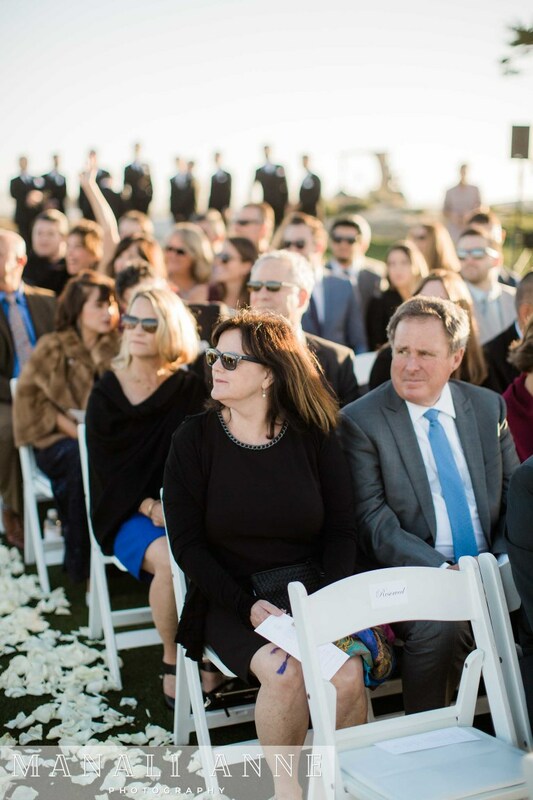 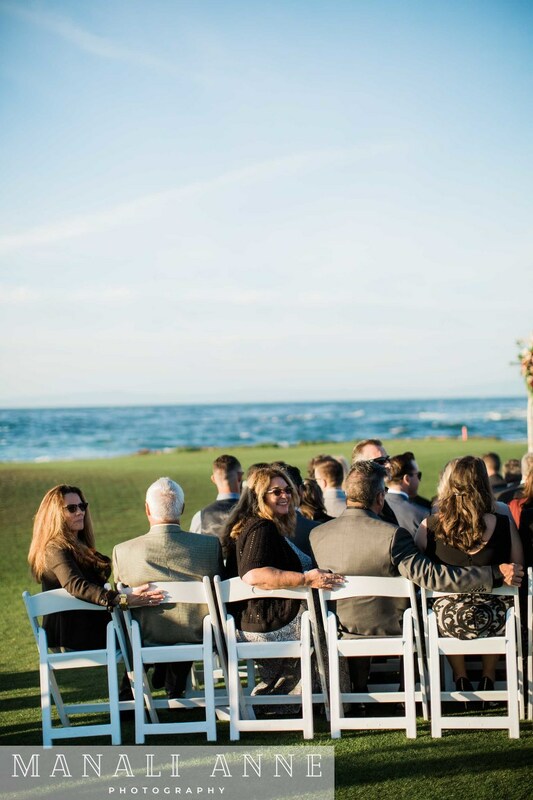 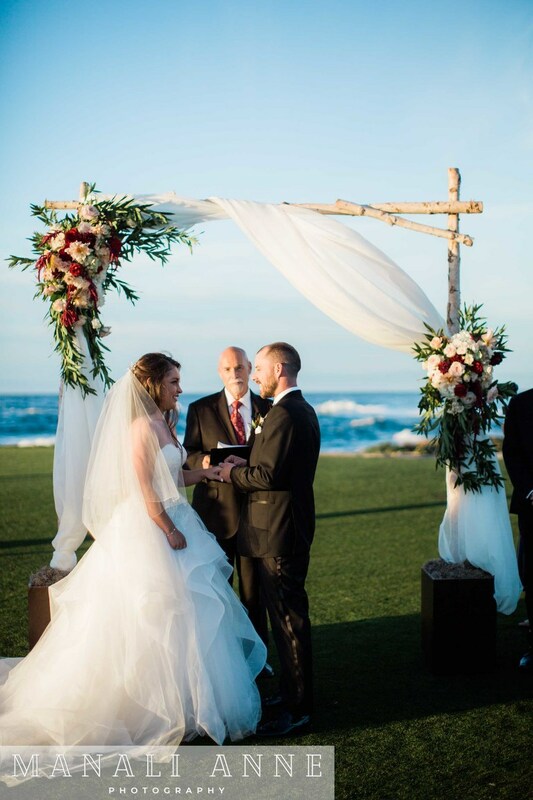 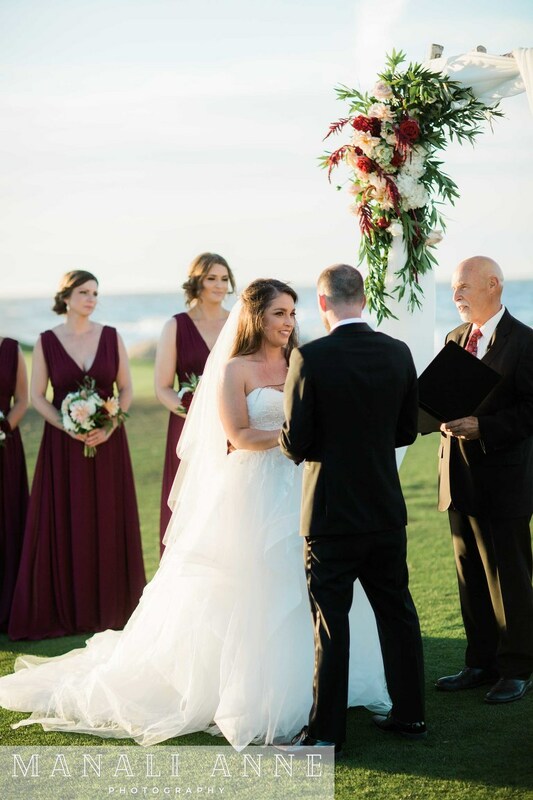 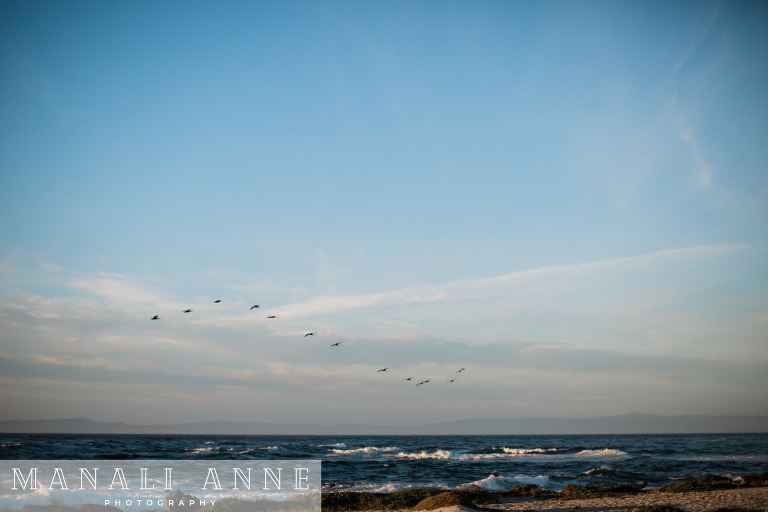 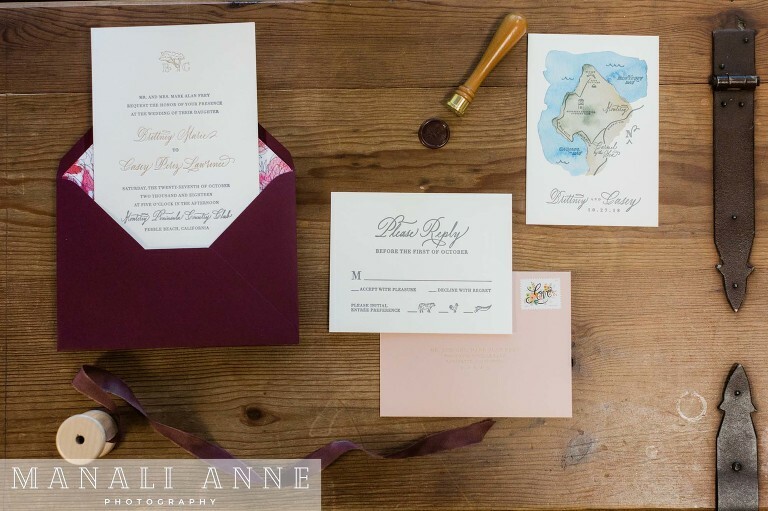 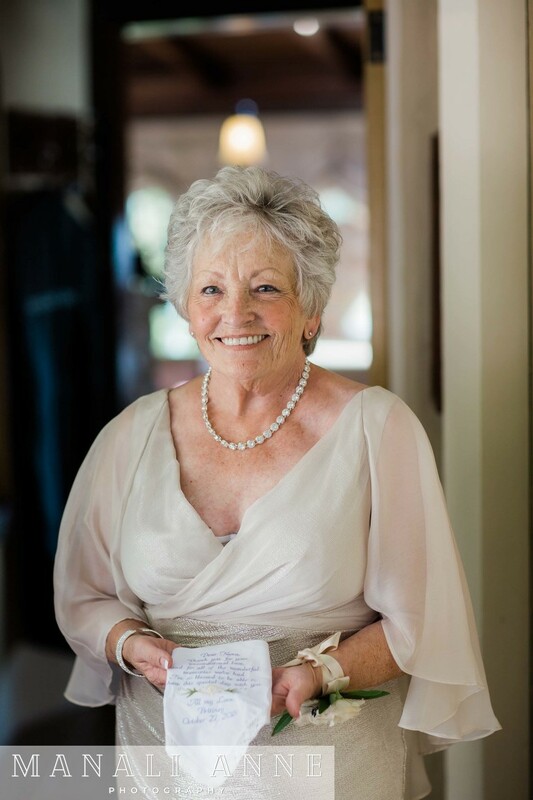 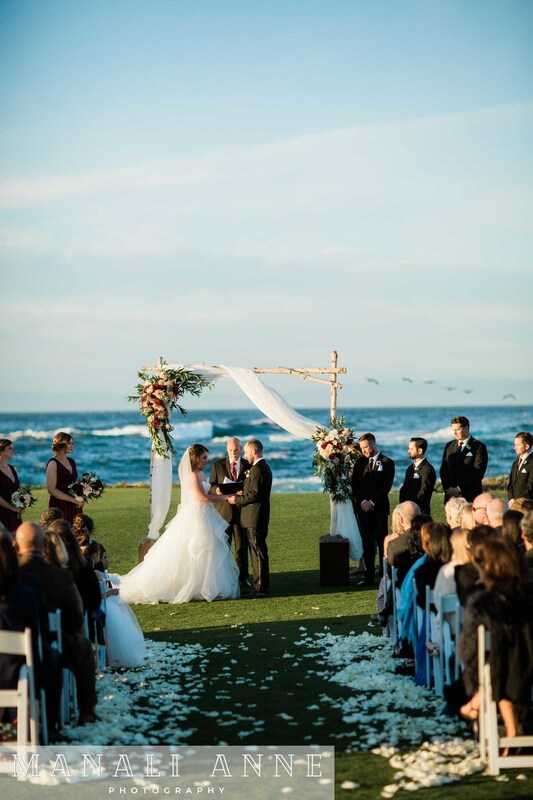 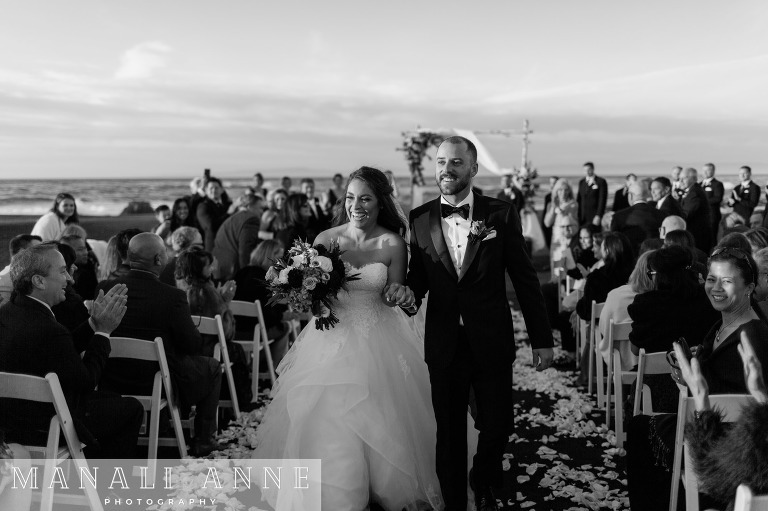 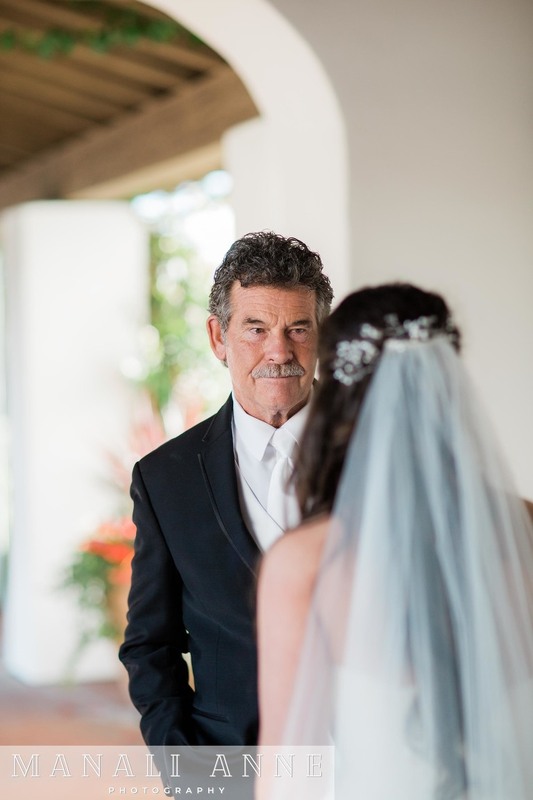 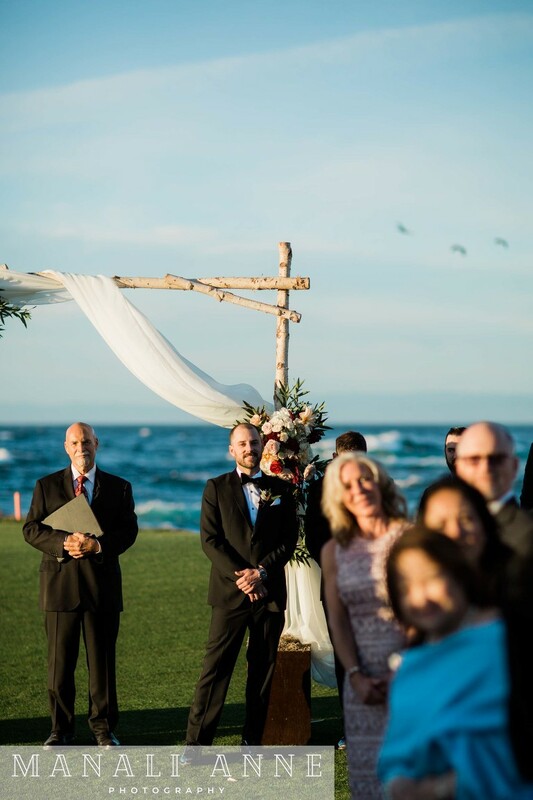 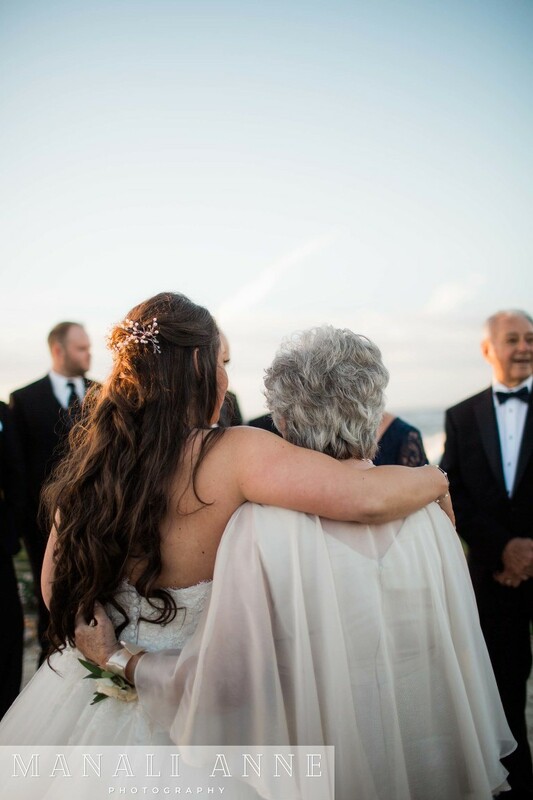 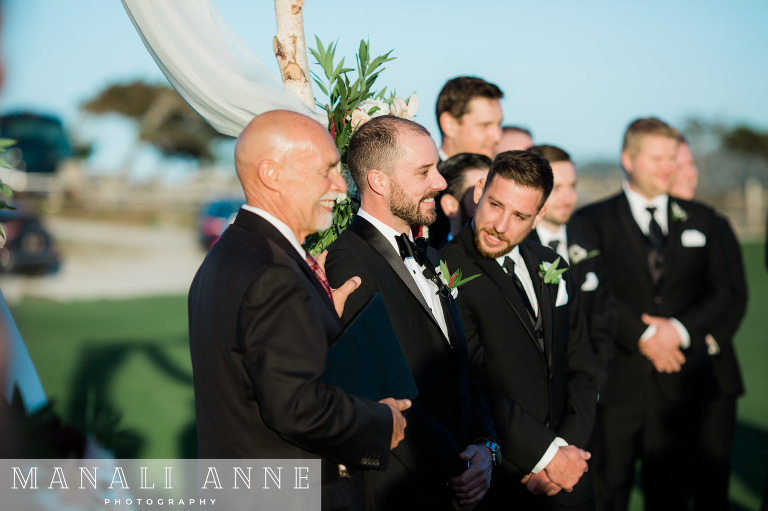 The wedding took place at sunset and their guests were treated to a beautiful view of the couple exchanging their vows in front of waves breaking, and pelicans flying overhead. 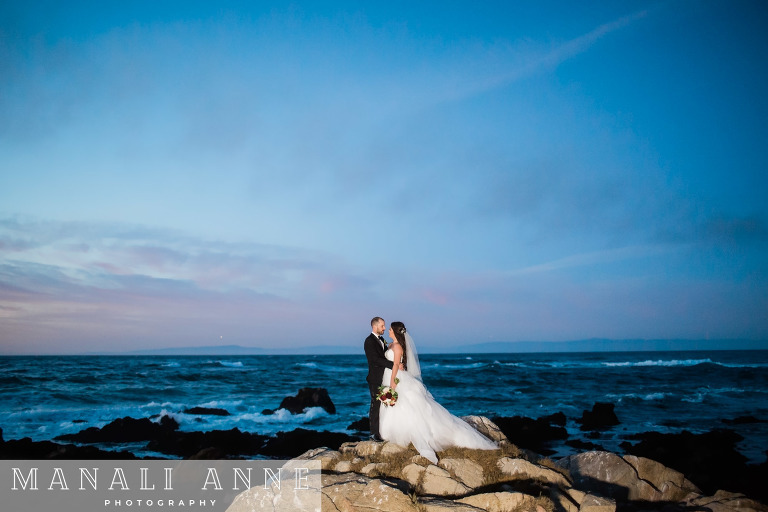 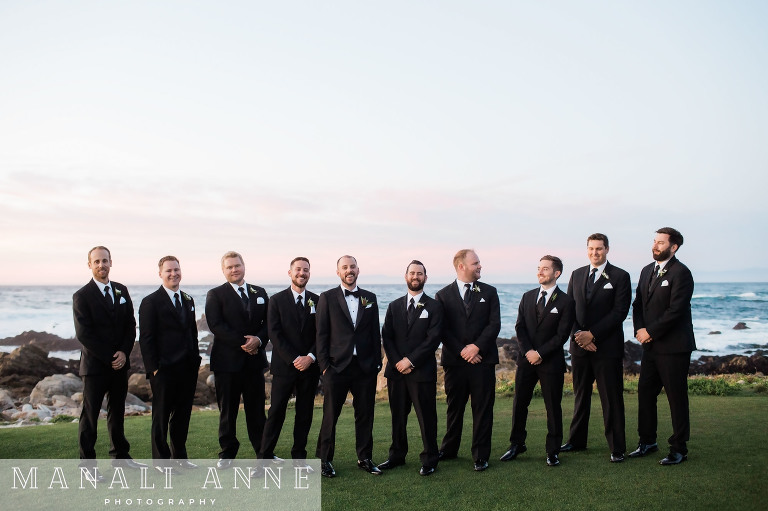 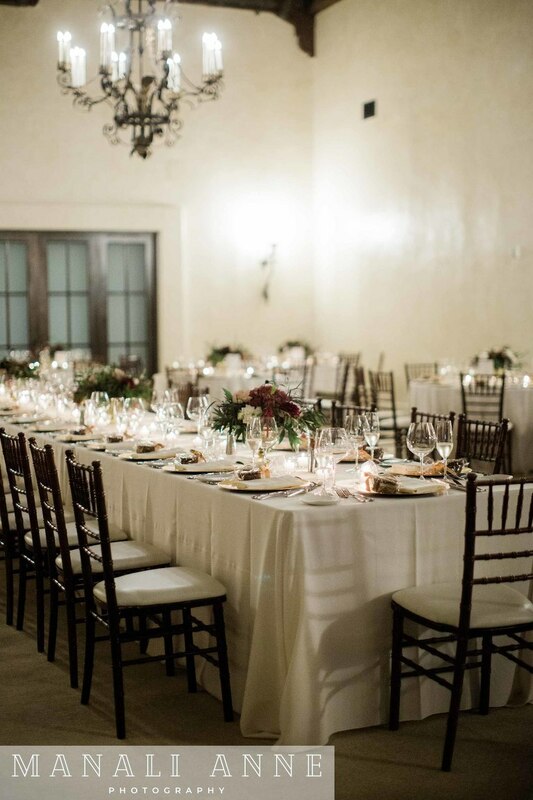 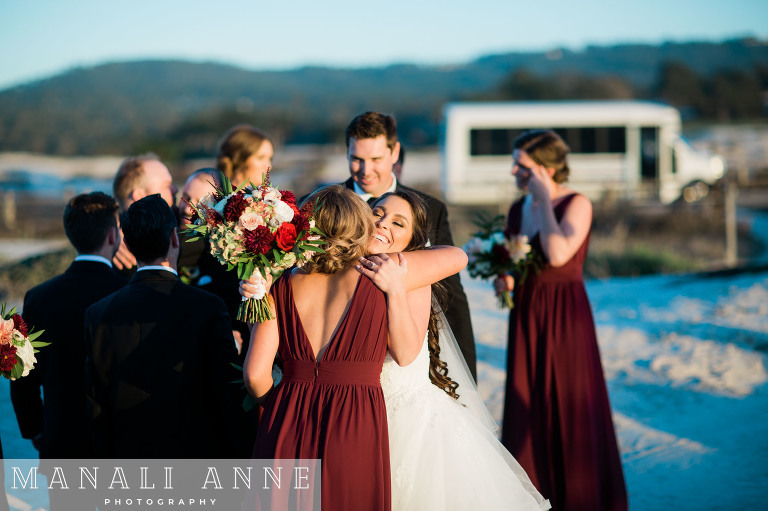 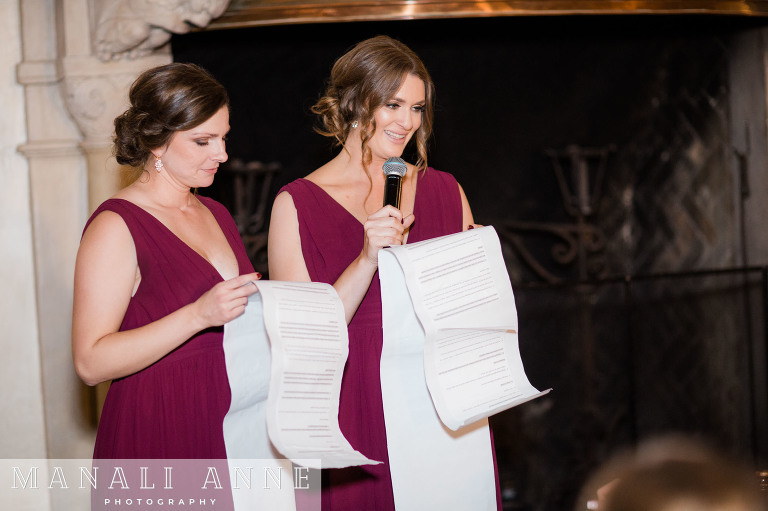 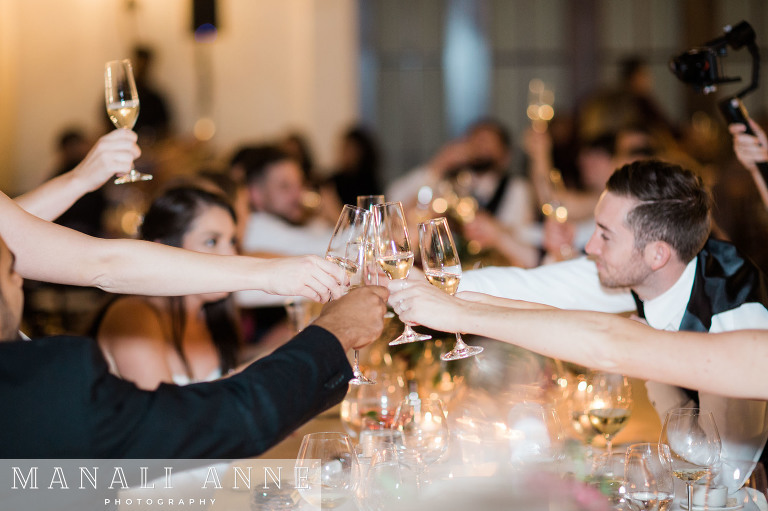 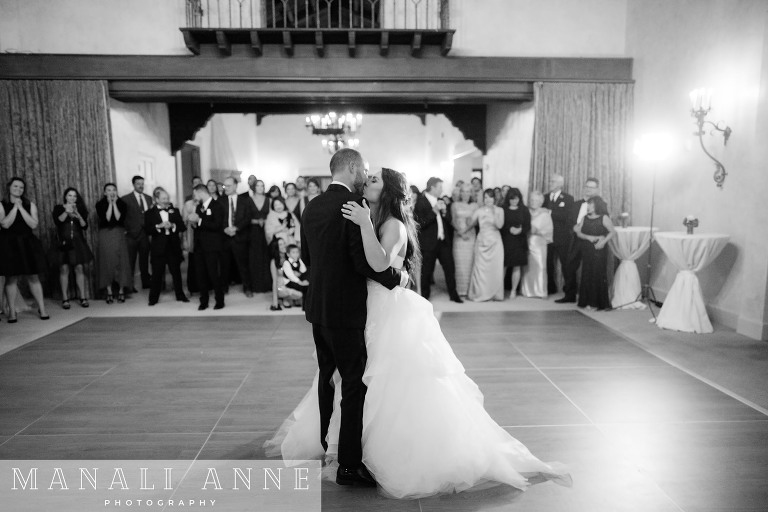 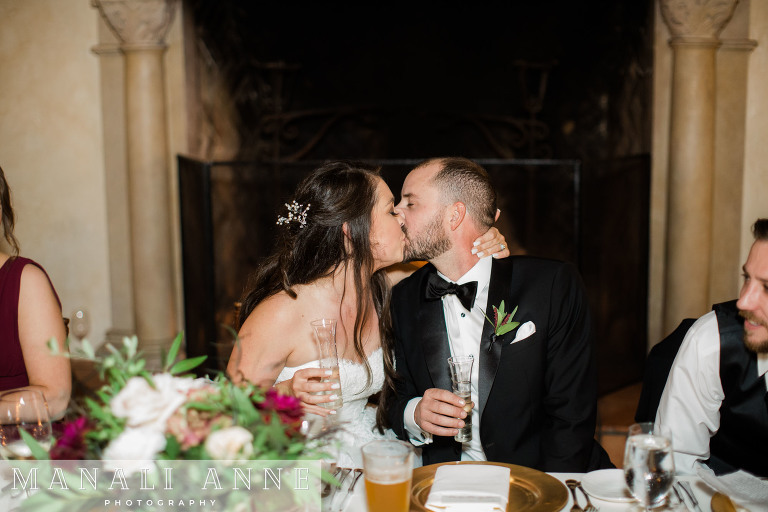 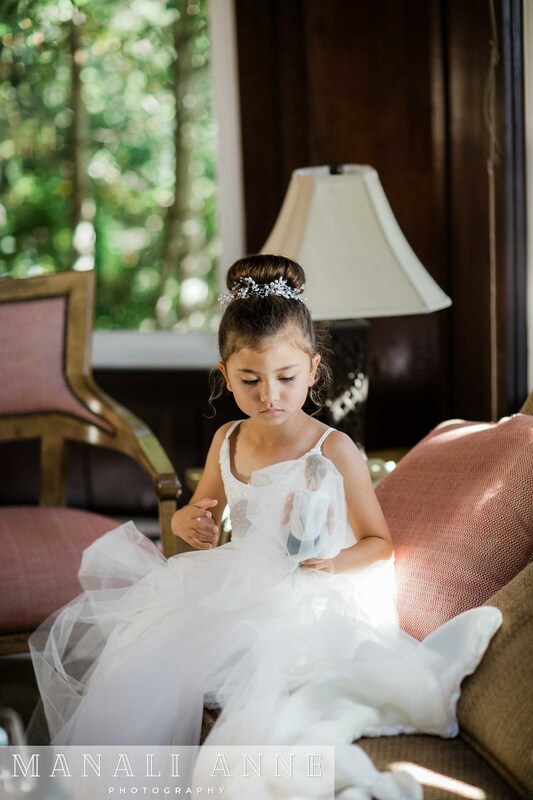 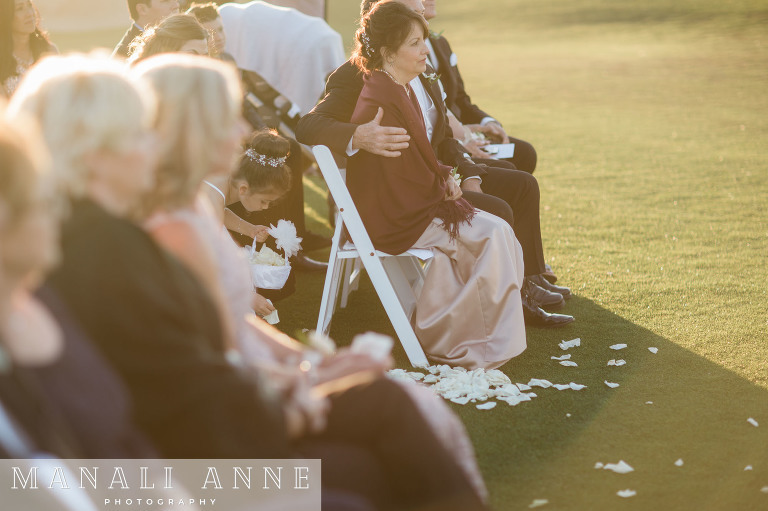 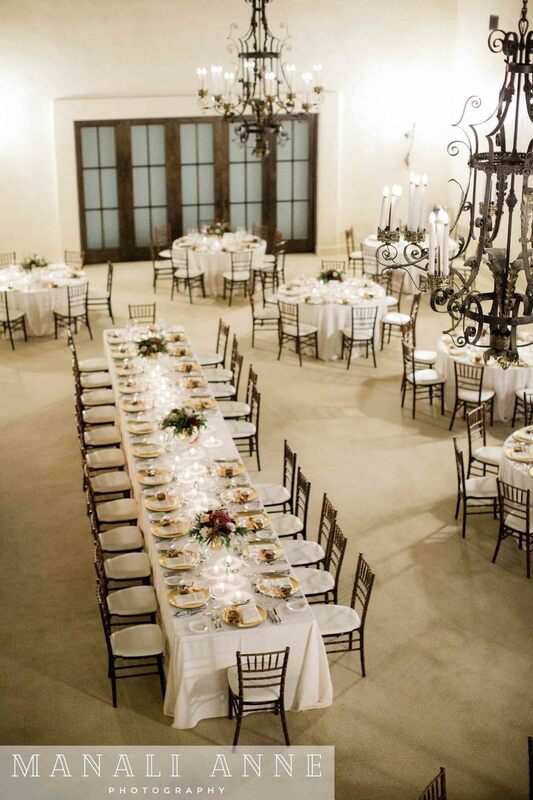 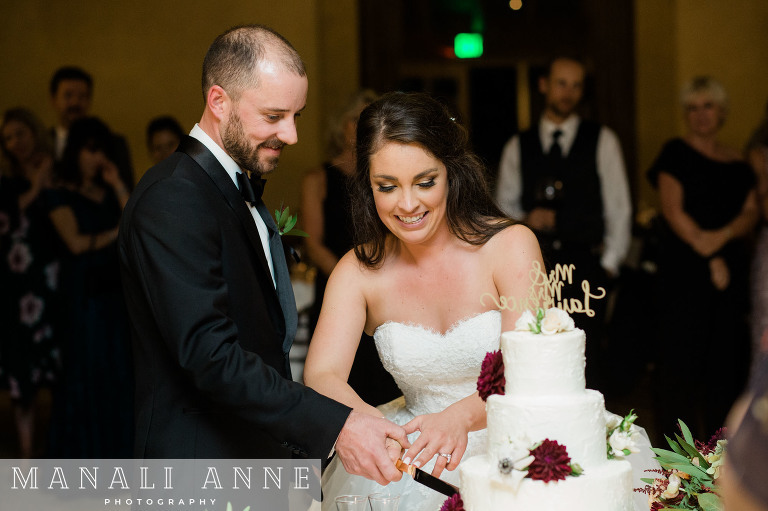 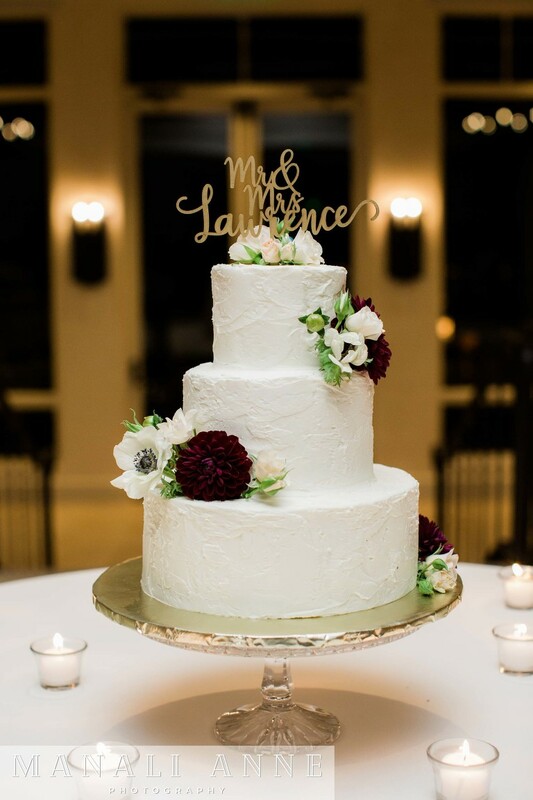 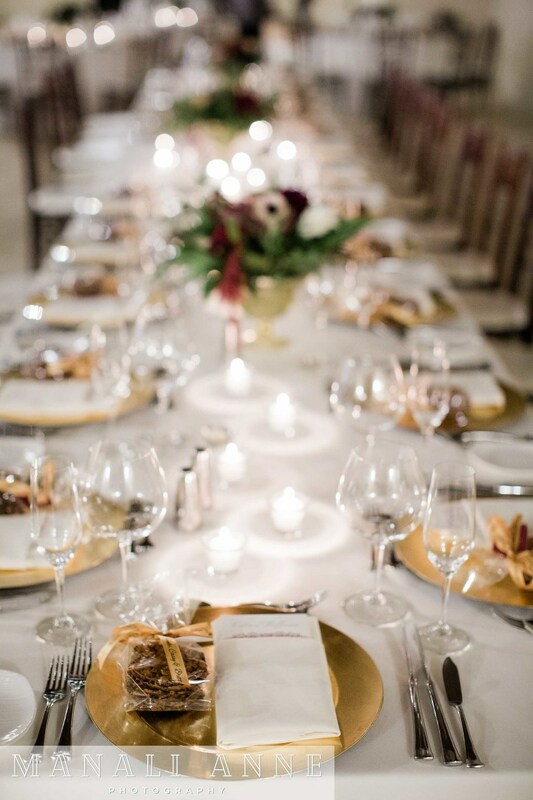 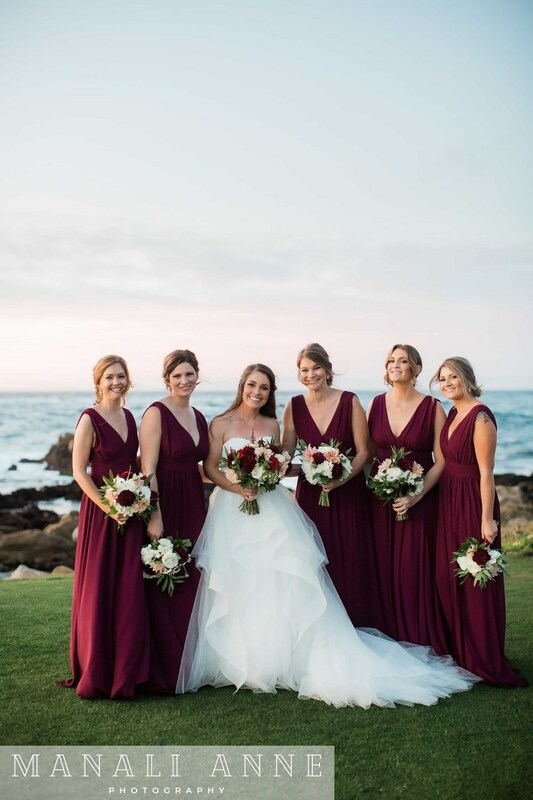 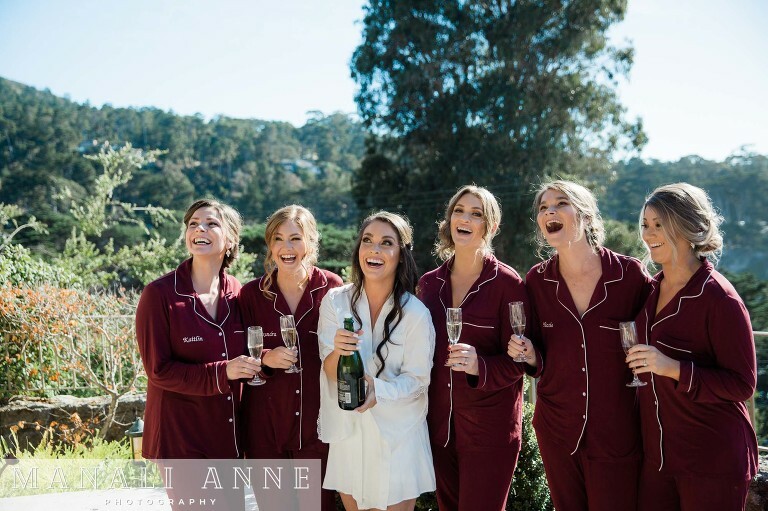 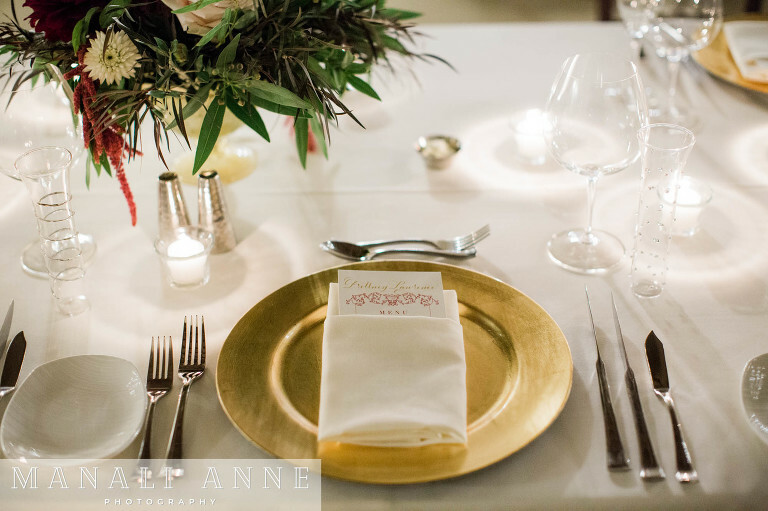 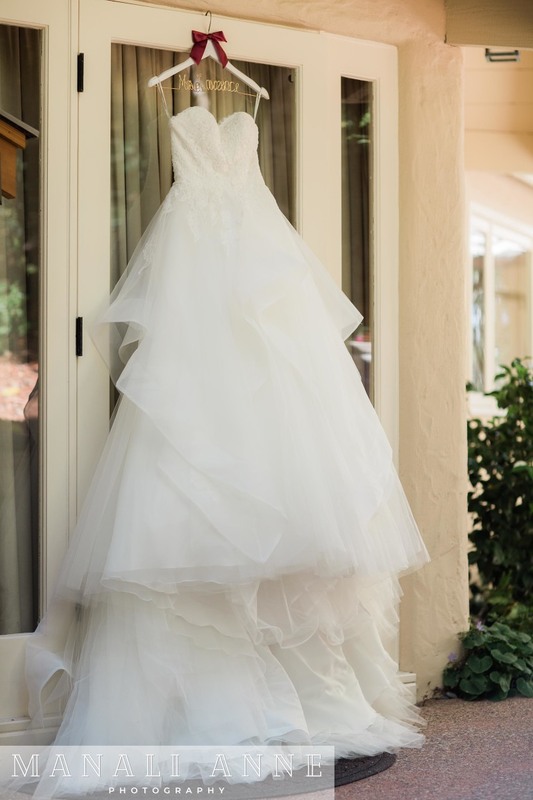 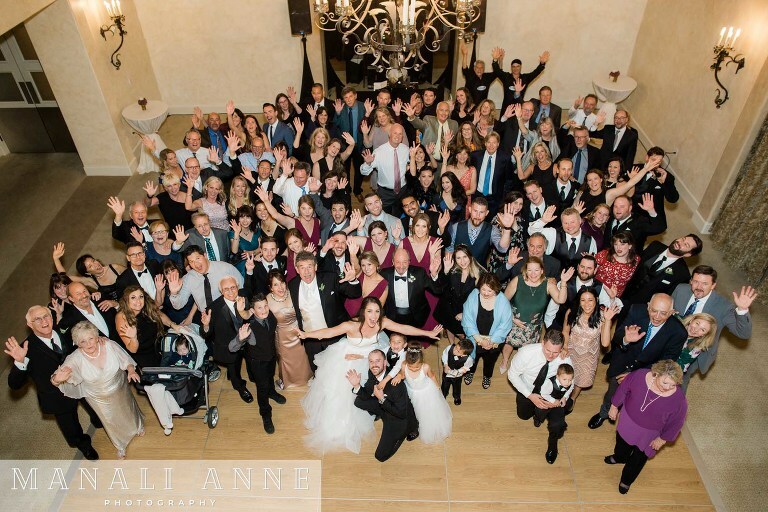 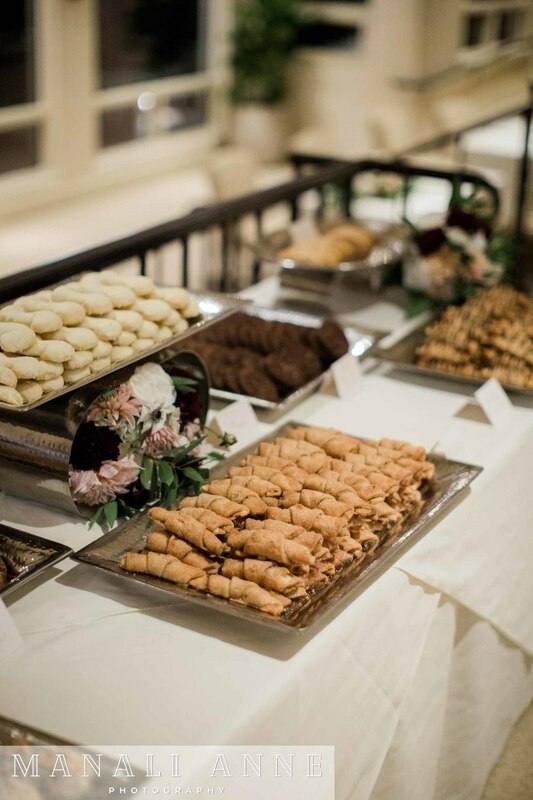 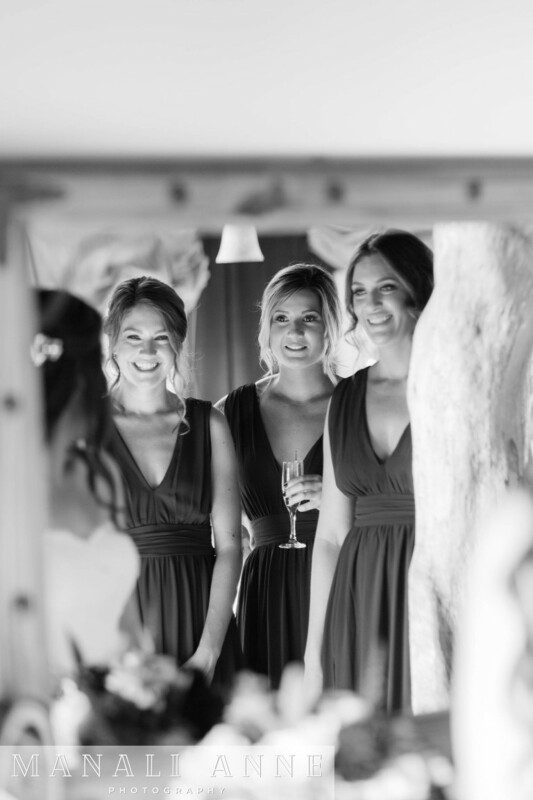 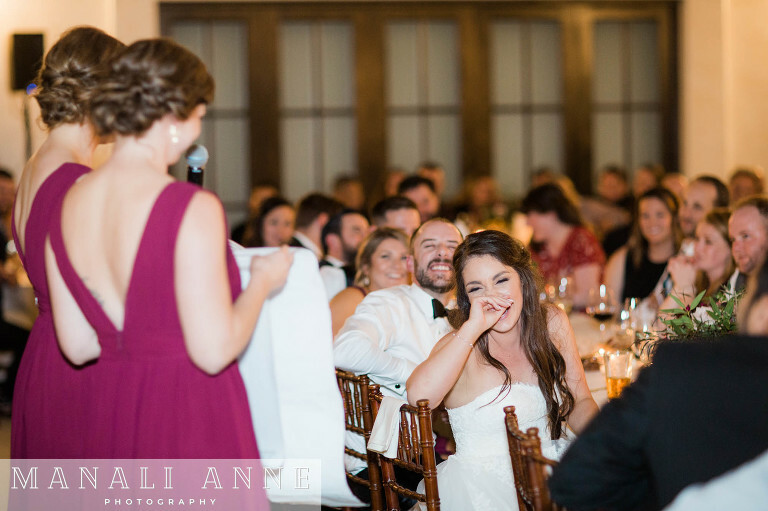 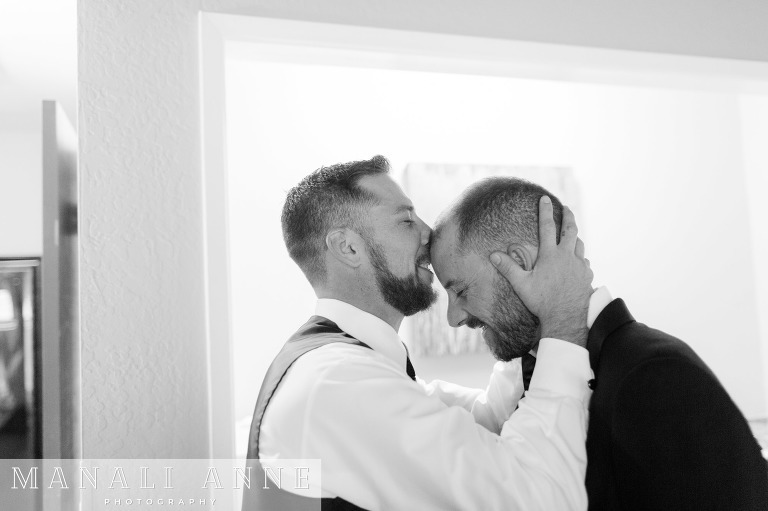 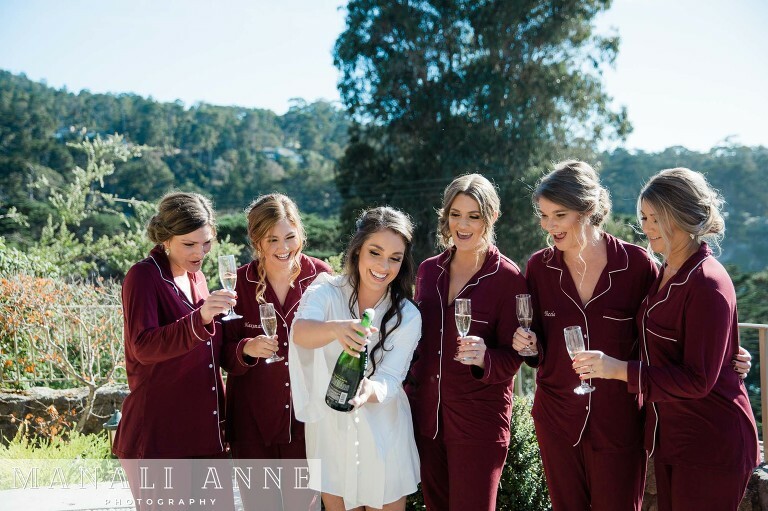 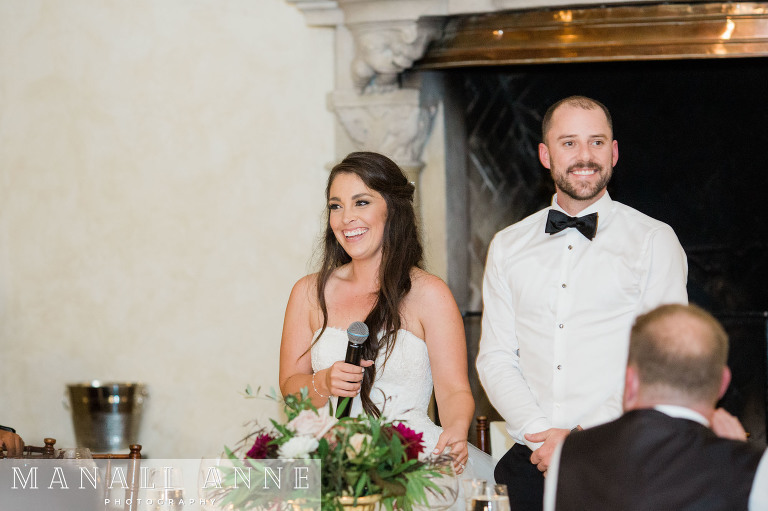 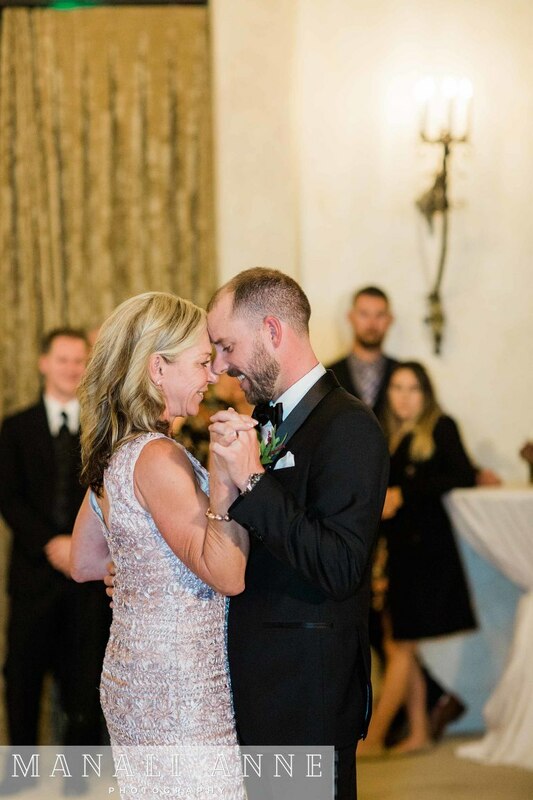 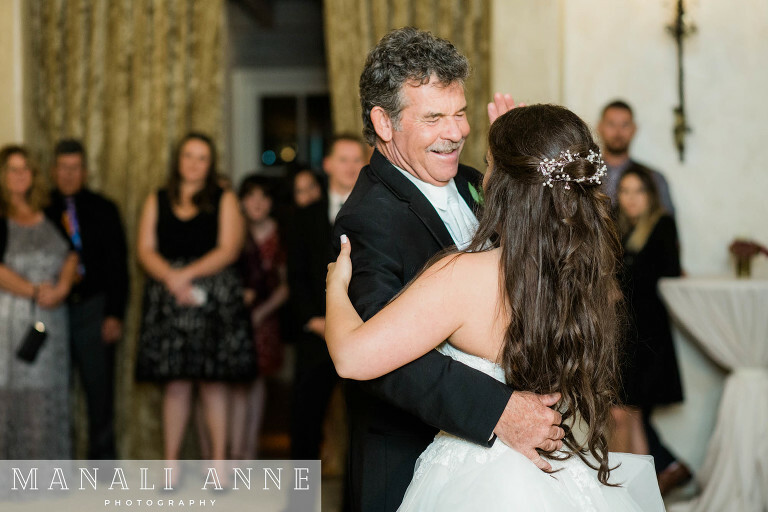 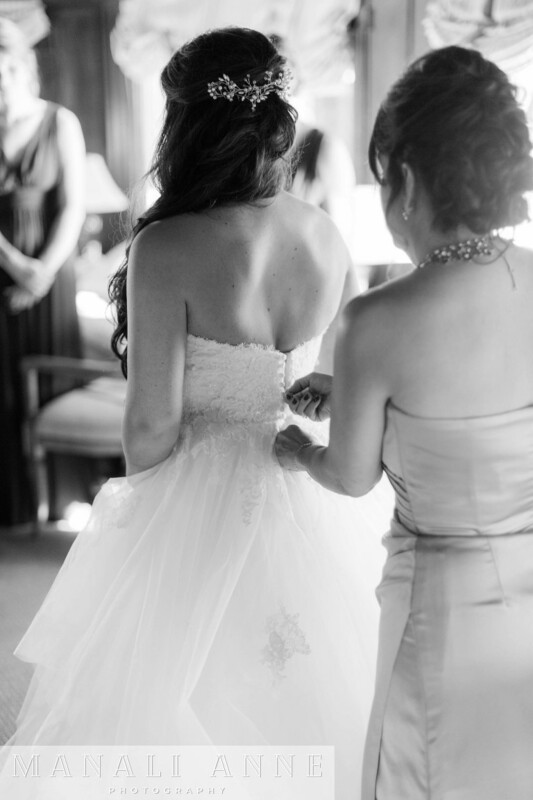 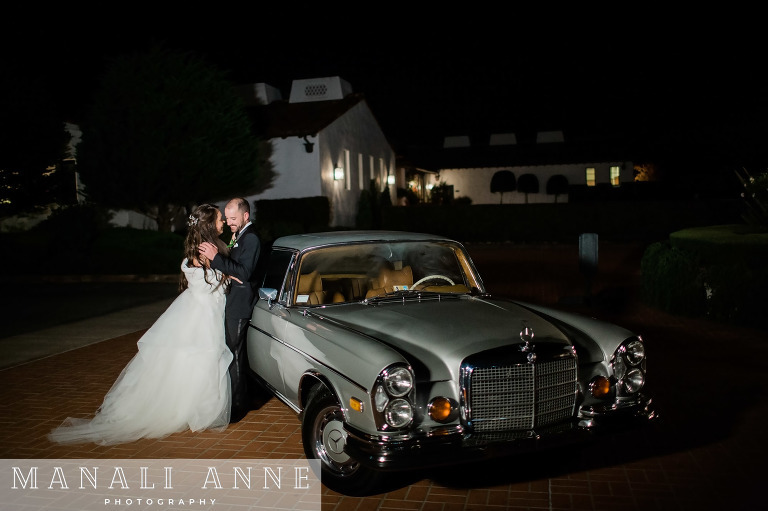 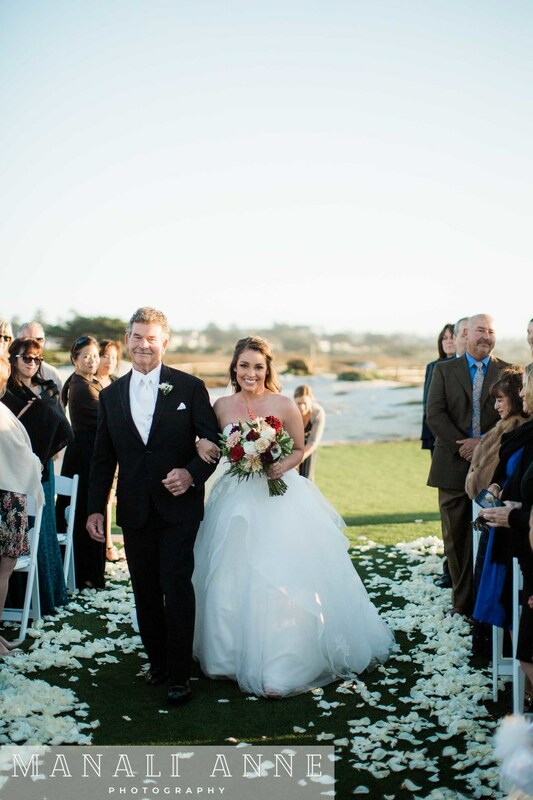 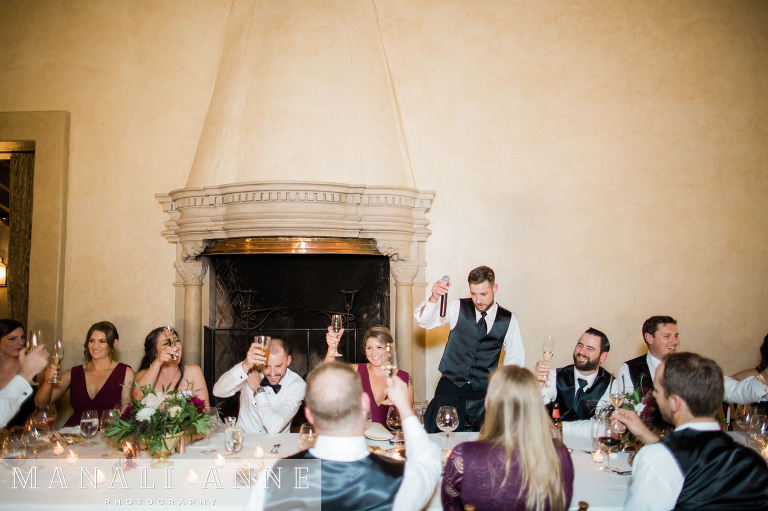 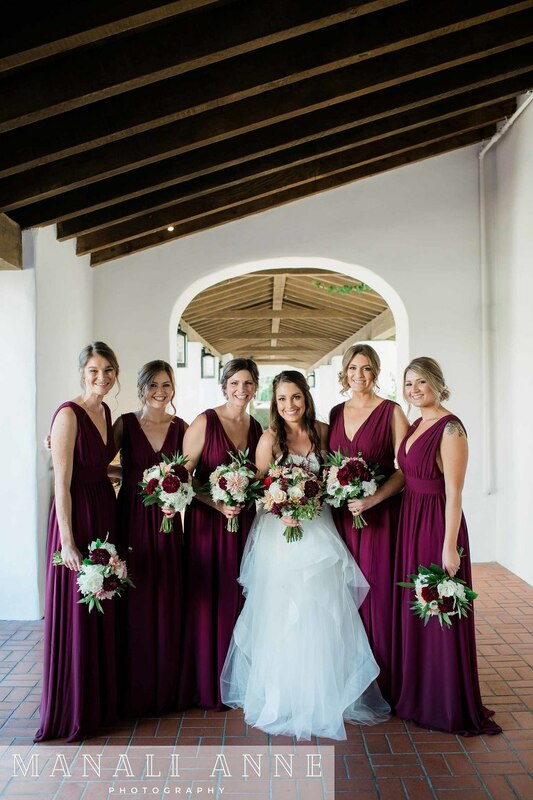 Later they had their reception at the Monterey Peninsula Country Club, where they indulged in delicious treats (cookies, cake & gelato, oh my!) 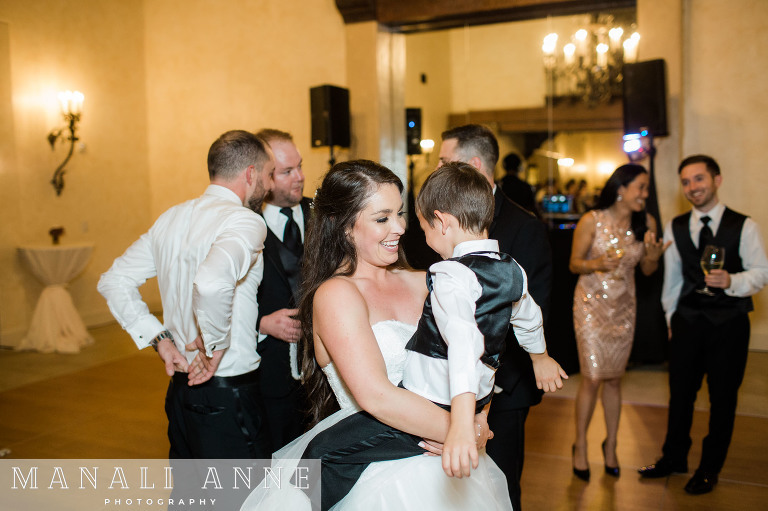 and danced the night away. 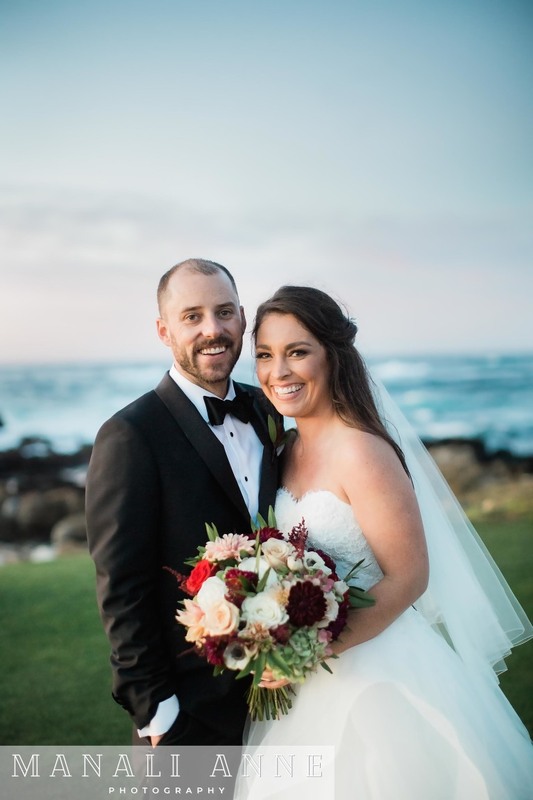 Congrats Brittney & Casey on a beautiful day! 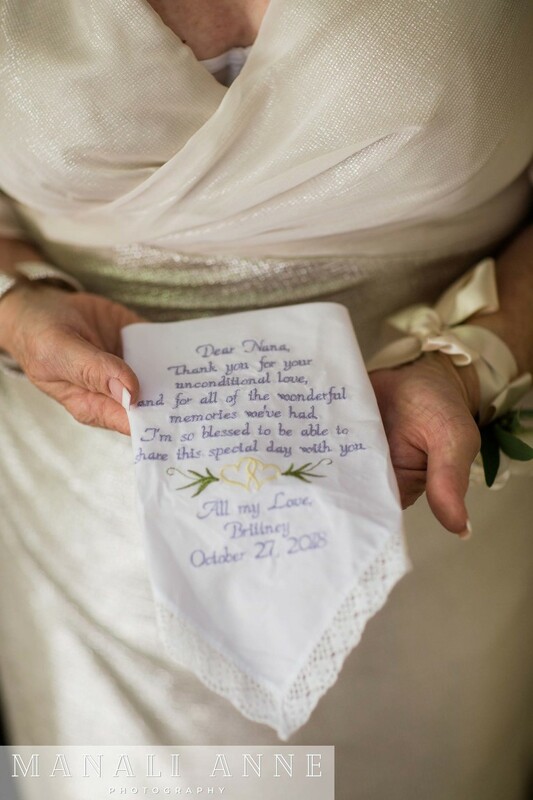 Fill out the form and I will send you more information. 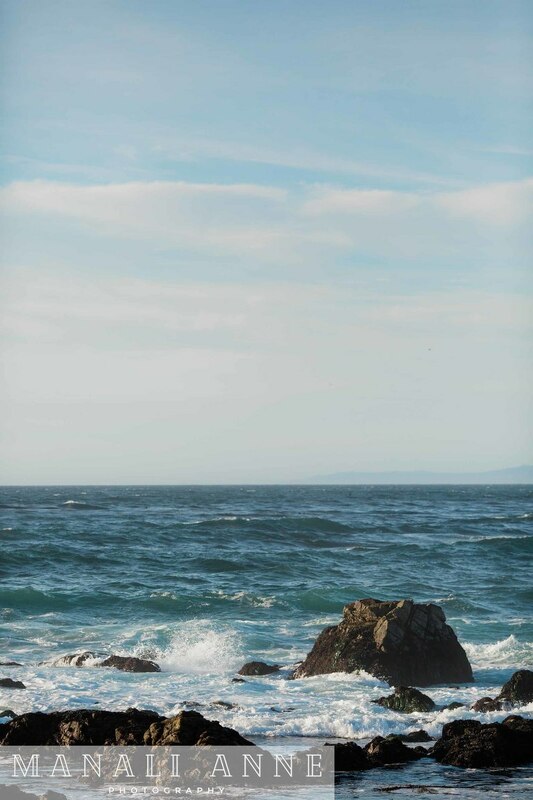 Easy peasy!